When it comes to physiotherapy, there’s no one size fits all approach. Different problems require a variety of different treatments, and sports people or office workers alike can suffer from problems that require a physiotherapist in Manchester to take a look at, diagnose and treat a variety of different ailments. This is why Physio Wellbeing exists, to help those suffering from various injuries or degenerative problems get back to working as best they can. Located in Manchester, Physio Wellbeing offers treatments for problems such as sports injuries, personal maintenance, postural problems, biomechanical, elderly care and road traffic accident recovery. 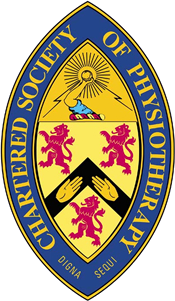 Our fully trained staff makes us the premier choice for physio in Manchester and our customer service is second to none. We know that when you’re injured, you’re not yourself, and we work hard to understand your frustrations and come up with a solution that means you will not be out of action for any longer than you need be. Our experience in many different fields of physiotherapy means that we have our ear to the ground when it comes to innovative new techniques and treatments and we undergo regular training to keep at the height of our field. If you need physio in Manchester for any need, then we’re happy to help. Simply fill in the form below and one of our friendly staff will get back to you to discuss your needs.